Paul spent 18 months discipling the young church in Corinth, and when he moved on, the group kept growing. But fast growth brings its own problems. Concerned about divided loyalties, immorality, and pagan lifestyles, Paul's letter highlights principles for balanced church life and growth. As you study this timely book, the Holy Spirit can activate these principles in your church community. 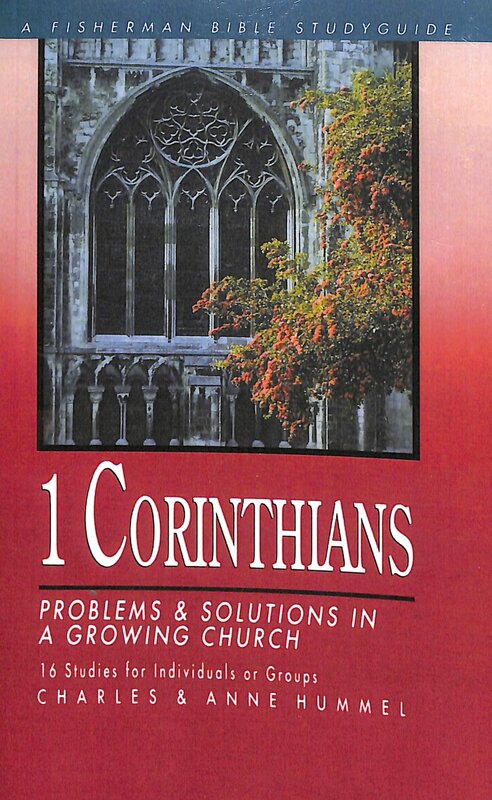 1 Corinthians: Problems and Solutions in a Growing Church by C. Hummel;A. Hummel was published by Waterbrook Multnomah in March 2000 and is our 54140th best seller. The ISBN for 1 Corinthians: Problems and Solutions in a Growing Church is 9780877881377. Be the first to review 1 Corinthians: Problems and Solutions in a Growing Church! Got a question? No problem! Just click here to ask us about 1 Corinthians: Problems and Solutions in a Growing Church.